Maserati wants to boost sales to 60,000 vehicles by 2015. GENEVA – Maserati wants to double its global dealer network by the end of 2013 to capitalize on a model offensive that it expects will spark a tenfold sales increase by the middle of the decade. "We need a broader dealer body of about 500 dealers in place before our new models begin arriving on the market. Most of this expansion will happen by the end of this year," Maserati CEO Harald Wester told Automotive News Europe on the sidelines of the Geneva auto show this week. With the addition of three new products and 250 new dealer outlets, Wester expects the Fiat subsidiary's sales to rise to 40,000 cars in 2014 and peak at 55,000 to 60,000 vehicles by 2015. 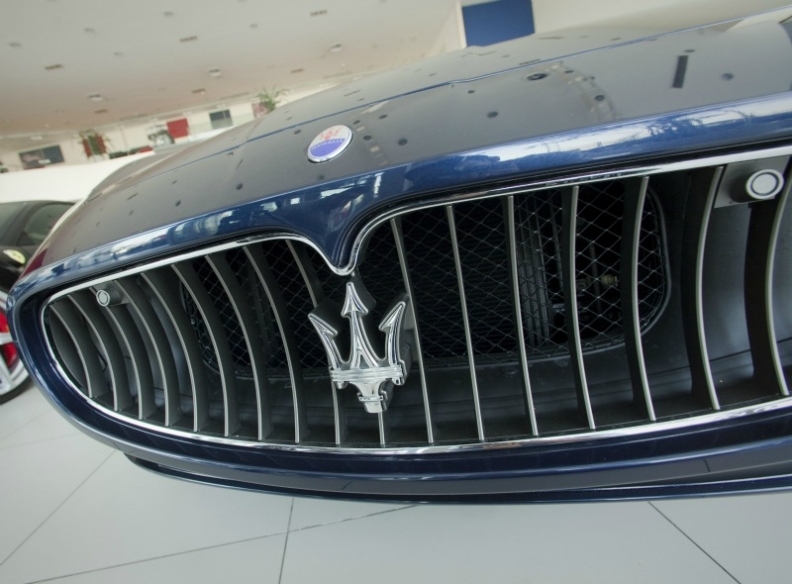 Maserati sold 6,159 cars last year and expects its 2012 volume to be about the same. The new-generation Quattroporte upper-premium sedan will lead off Maserati's product offensive. The updated version of the brand's flagship, which is a rival to the Mercedes-Benz S class and BMW 7 series, is due to debut at the Detroit auto show in January 2013 and go on sale in Europe in the first quarter of next year. The car's U.S. sales debut is expected in spring 2013. The starting price for the new Quattroporte will be about 100,000 euros to 125,000 euros, which is roughly the same cost as now. Maserati plans to add a model below the Quattroporte in mid-2013. The medium-premium sedan, which will rival the Audi A6 and BMW 5 series, is expected to cost 55,000 euros to 75,000 euros when it goes on sale in Europe starting in September 2013. The still-unnamed car is due to arrive in the United States before the end of next year. Maserati also plans to add an SUV in the third quarter of 2014 and debut the successor to the GranTurismo large coupe in 2015. Wester said the company has not decided whether to also replace the GranCabrio convertible.